Episode 158 – What Gems Will Take You To The Top!!! 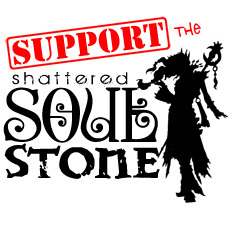 Manlow, Greed, and special guest Rowna jump in the portal together and give you episode 158 of the Shattered Soulstone! During their quest they bring you the newly found primals and information on the 800 club. They also talk about the importance of playing your own way and knowing how to make your favorite build as strong as you want it. * Vesper, Manlow, and Greed thank the listeners for being no less then amazing!